Make the most of your time ashore, and see the highlights of Florence and Pisa all in one day, on this private shore excursion. Meet your driver directly at the Livorno port, climb into your private vehicle, and head to Florence. There, you’ll go on a multi-hour tour of the city. See the Ponte Vecchio and Piazza della Repubblica, enjoy skip the line-access at the Accademia Gallery (home to Michelangelo’s David) and Santa Croce Basilica, and more. 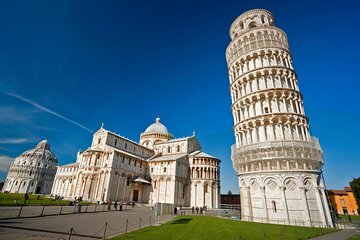 Then, transfer to Pisa, where you can discover its iconic Leaning Tower.